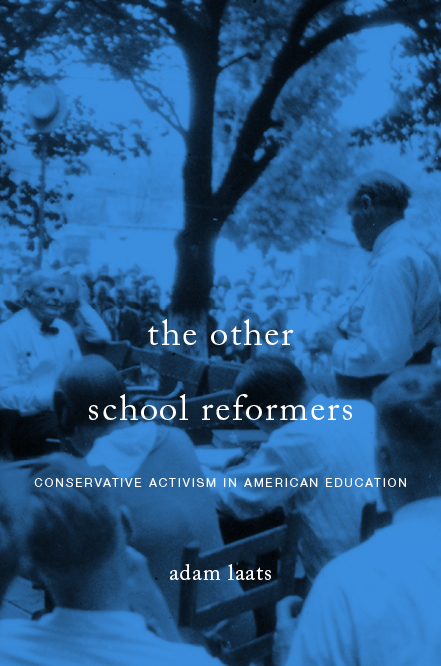 Where have Americans fought over public schooling? The libertarian Cato Institute has put together a clickable Battle Map to help readers locate educational controversies. Readers can search by state, by year, or by the type of conflict. The Cato folks broke down school battles into such categories as curriculum, freedom of expression, gender equity, human origins, moral values, racial/ethnic diversity, reading material, religion, and sexual diversity. To this outsider, Cato’s argument seems a little strained. After all, just because many family dinners turn into shouting matches, does that prove that dinner is a bad thing? Will new Common Core State Standards exert a deadly centralizing impulse on all types of school? Will independent options winnow down as private schools seek to prepare their students for new standardized tests? That’s the worry articulated recently by JD Tuccille in the pages of libertarian flagship Reason Magazine. Under the circumstances, “Waldorf,” Montessori,” “traditional academy” and “IB” risk becoming Coke vs. Pepsi brand names peddling similar products—assuming they can even survive the transition costs. Private and religious schools, while mostly exempt from legal mandates to adopt Common Core, are also under pressure to toe the line. Some that accept tax-funded vouchers are required to adopt the standards to continue in such programs. Others find that non-Common Core-compliant textbooks are becoming difficult to find. And the biggest motivation might be the move by college entrance exams to test for mastery of Common Core standards. Of course, as Tuccille notes, parents can always exempt themselves and their children from this pressure by opting out of institutional schooling entirely. But for those folks who value free choices in education, it does seem palpably evident that any success for standardization will represent a narrowing of those choices. Vermonters want out. Some of them, at any rate. In the pages of The American Conservative, Kirkpatrick Sale reviews a new volume about a surprisingly long-lived secessionist movement in the Green Mountain State. What do the new nullifiers want? According to Sale, the freedom-fighters depicted in Most Likely to Secede have several related goals. Vermonters want to take back control from the federal government in such areas as food policy, gun control, marijuana laws, and, of most interest here, public education. Learning, according to volume editor and essayist Ron Miller, can be done better in Vermont. Learning can be liberated from costly and nonsensical federal mandates and standardized testing. Such goals, Miller argues, put right-thinking Vermonters at odds with an “authoritarian educational policy” dictated by Washington DC. Freedom will come from refusing federal dollars, so that Green Mountain schools can be liberated from the mandates of centralizing bureaucrats. Does nullification stand a better chance in Vermont than it did in South Carolina? When it comes to education policy, refusing federal dollars is a tall order for cash-strapped states. This is especially true when the ultimate goal is as mushy as “holistic education.” Conservatives of all stripes make a politically powerful argument when they advocate for direct local control of schooling, or when they fight to keep objectionable ideas out of local school curricula. It is much harder to fight for local control when the goals of that control include a new vision of what education can be. As historian Arthur Zilversmit demonstrated, anything new in schooling faces a brutal uphill battle. As Zilversmit concluded, most Americans, presumably even in Vermont, share a “strange, emotional attachment to traditional schooling patterns” (page 169). Independent schools, in Vermont or anywhere else, only stand a chance when they have independent funding. That will not likely soon be the case for public schools in breakaway Vermont.